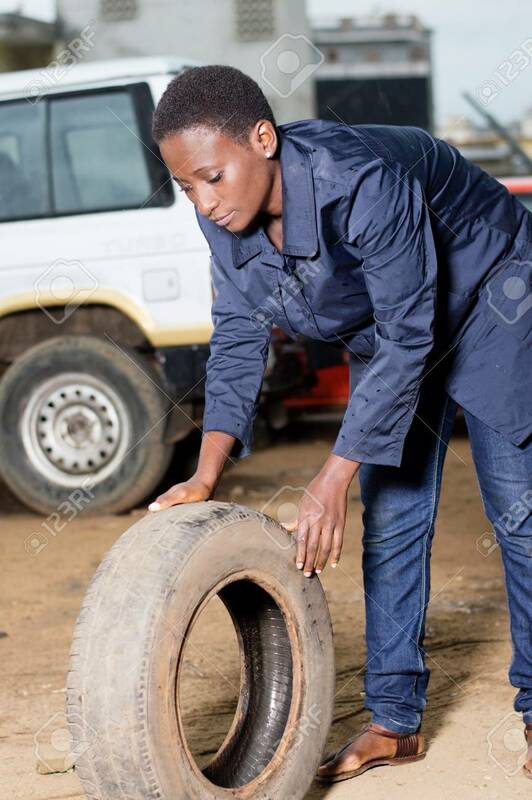 Young Female Mechanic Holds A Backup Tire For Spare In A Car Workshop. Banque D'Images Et Photos Libres De Droits. Image 111828779.